I grew up by the sea, so I ought to know a thing or two about sea kelp – but to be honest, I’ve never really thought of bringing seaweed into my kitchen. I must have been missing out, because sea kelp as a culinary experience is really gaining popularity! 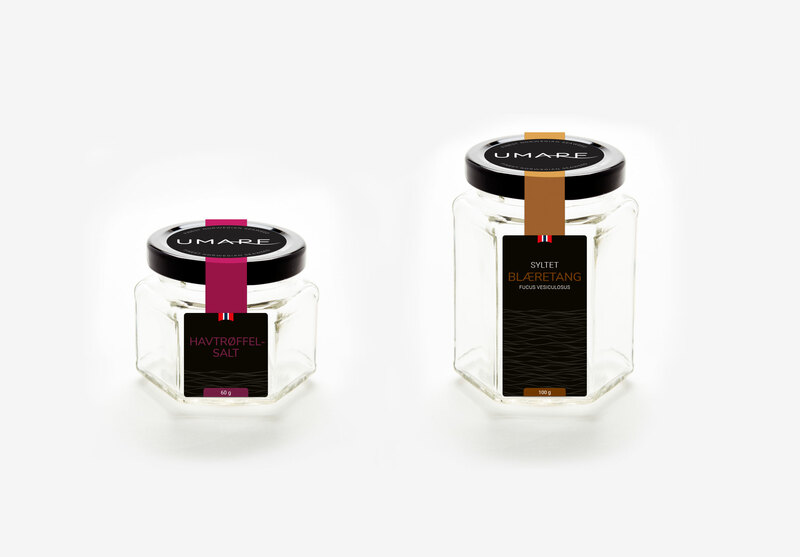 Umare is a range of gourmet products made from… you guessed it: sea kelp. Harvested by hand in the archipelago surrounding the island of Smøla – then carefully refined with love and craftsmanship. 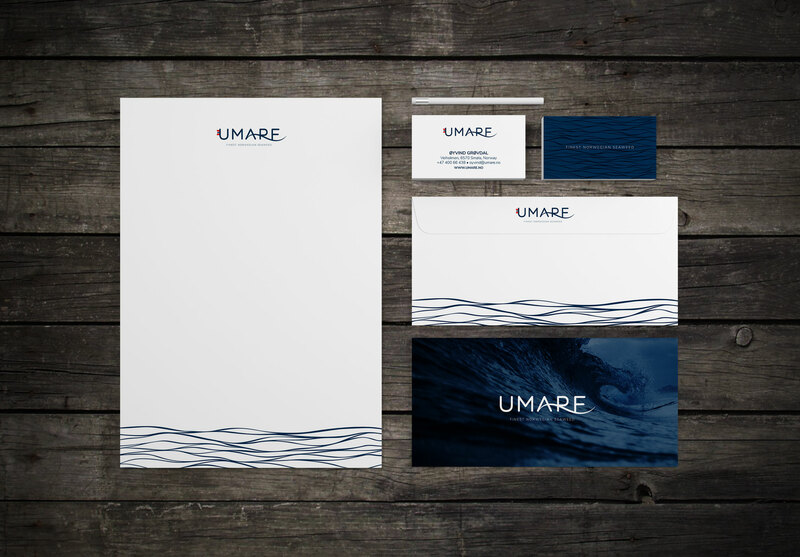 Umare’s founders Malin and Øyvind asked me to help them create a strong brand that reflected their products’ high level of quality. We worked together through a naming process, followed by crafting a brand identity and packaging. It’s so incredibly rewarding to follow a client throughout this process, and I’m proud to finally share the result with you all! 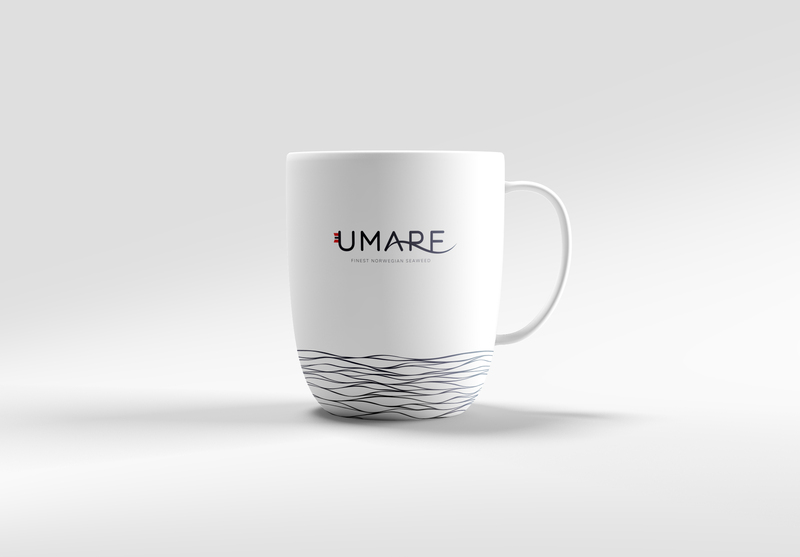 The name Umare is a play of words, combining mare (latin for ocean) umami (japanese for nice flavour). 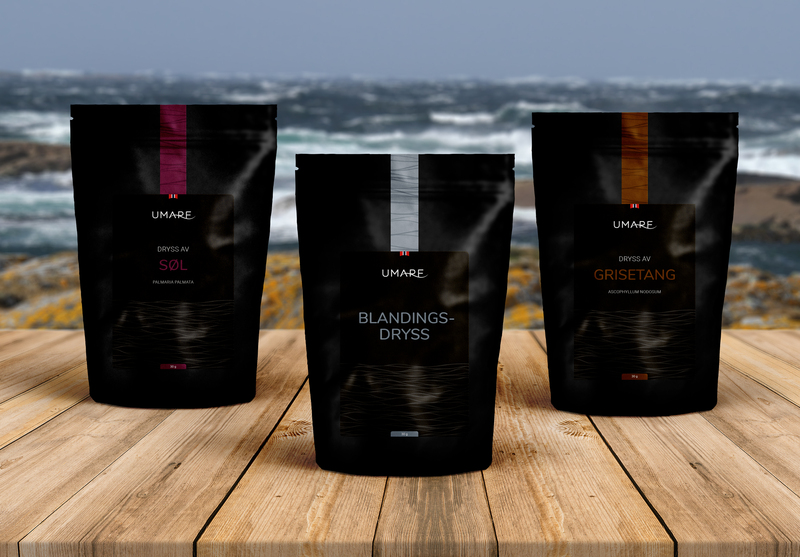 Umami is the fifth taste, alongside sour, bitter, salty, and sweet – and sea kelp tastes of..? Yep. Umami. 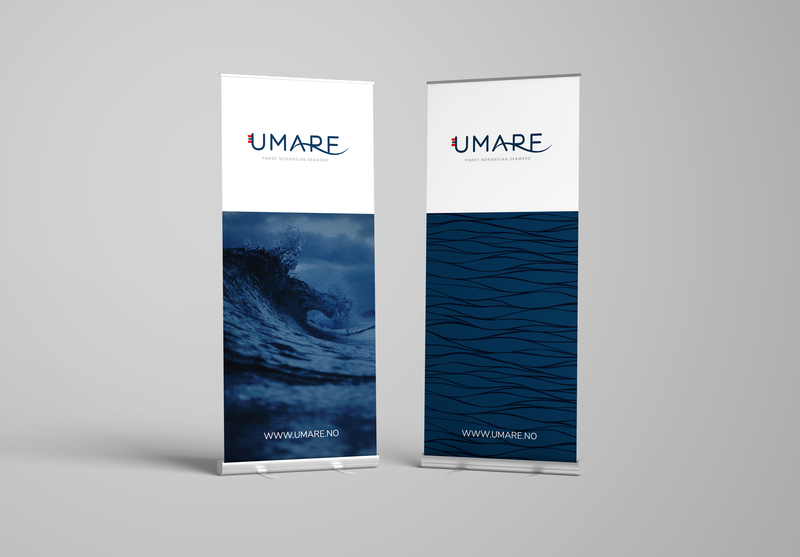 Umare will be launched onto the international market, and it’s vital for the brand identity to reflect the quality and the exclusive nature of the product. 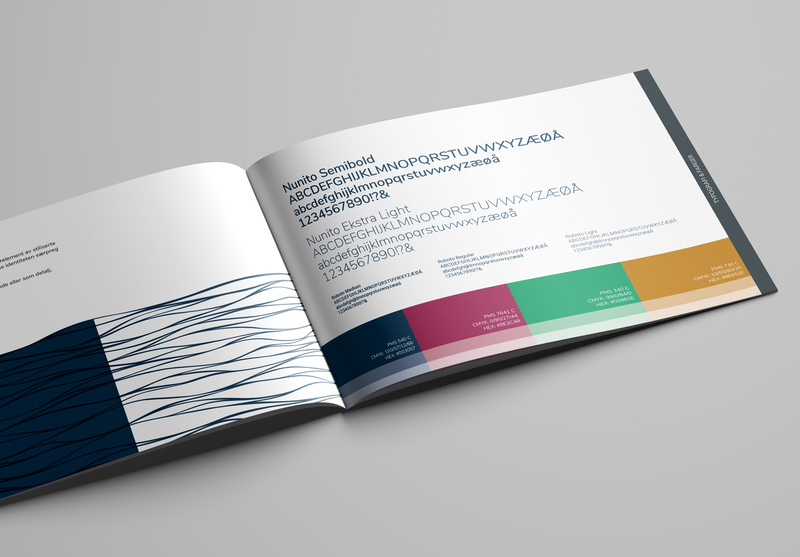 The logo is typographic, simple, and elegant. A wave ties it all together, hinting at the origin of the product. A simple stylised Norwegian flag is used alongside the logo to further emphasise the origin. The design element of stylised waves add interest to an otherwise understated look. The deep navy blue evokes associations to the ocean – and the three vibrant accent colours represent the different types of kelp. The latter are to be used only sparingly, in relation to each product type.